This is what happens when you have four great days on Chequamegon Bay! 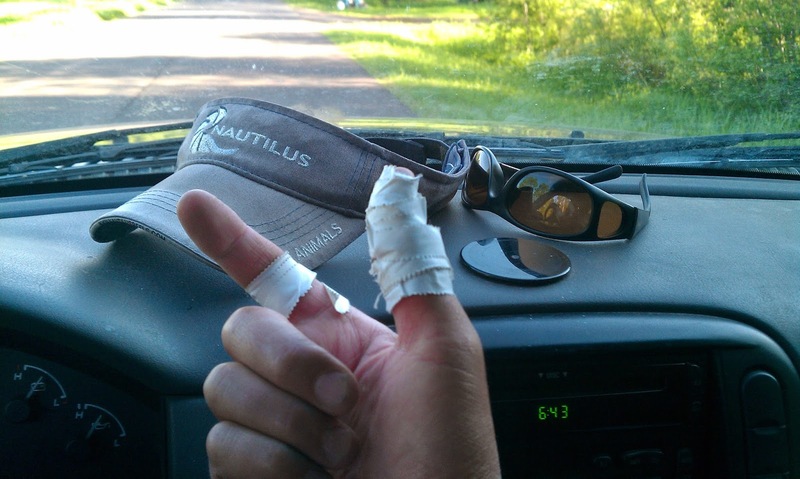 I had to do some damage control on my fishing thumb to round out the last day on the water. 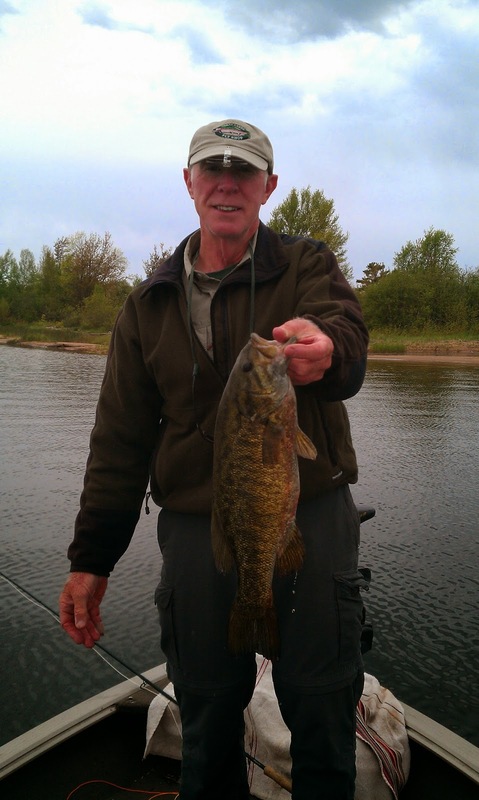 No need to mention again what a great fisheries Chequamegon Bay is with many fish over 3 lbs., but I just had too. Along with quantity comes quality out on the bay. Fished with a good friend on Friday and Saturday. Continued with Larry and Ron from outstate on Sunday and Monday. What a great group of people to share the boat with, lots of good laughs and great conversations and making lasting memories. Very nice day out on Chequamegon today. Lots of big bass boated on the fly. Intermediate sink tip line twitched slowly was a good bet. Lots of little ones willing to take faster moving flies up shallow. Good sized thunderstorm and heavy rains Saturday morning until about 2pm. Overcast becoming sunny later in the afternoon. Winds were low until the clouds blew out and the wind picked up. Cool, sunny day. A lot of boats today and the landing was packed. We managed to get a bunch fatties. I wanted to fish the deeper drop offs and channels, but the boat traffic was too much. Cool, mostly cloudy, light winds in morning. Sunny and wind picked up in afternoon. The top water bite was good in the shallows early morning. 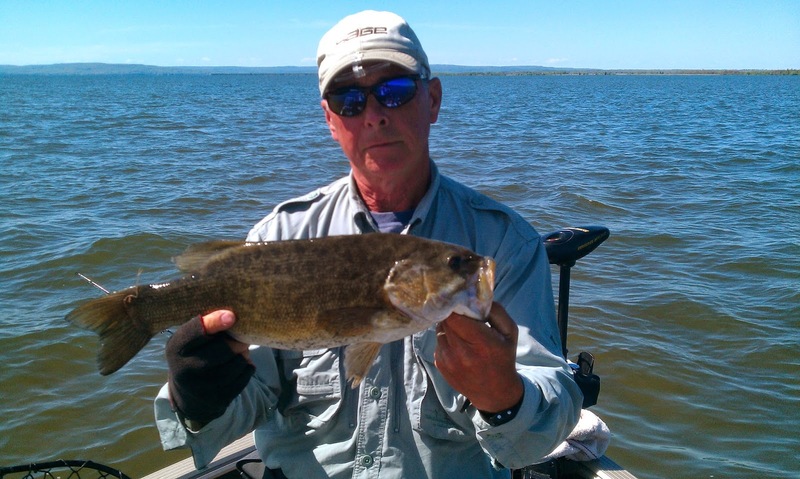 Ron managed his biggest smallmouth on the fly rod at 19.5". What a nice looking fish. There are some bigger fish located on the first drops in deeper water. Most people were fishing up shallow, 3 feet or less. The bigger males and females are hanging out in the deeper water 5-8 ft. Hard to fish with fly rods when the wind is blowing, but it is doable. Using jigs in the deeper water was a good bet. Overall the water temps ranged from upper 50 to mid 60's for the majority of the bay. There was some warmer temps near 70 as you getter further up into Sand Cut and Kakagon Slough areas. Air temps ranged from mid 50's to upper 60's as there was a easterly wind much of the weekend. Lake Superior water is probably still in the upper 40's, ouch that cold. I expect the spawn to be in the latter half after this weekend. 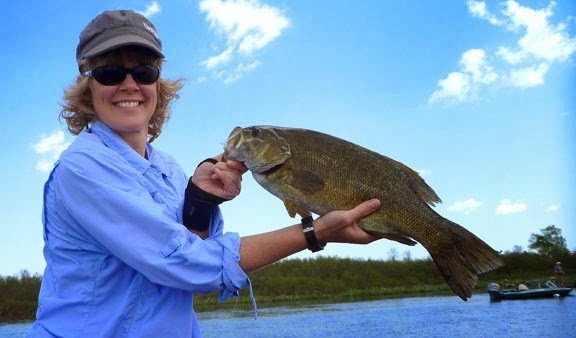 There are plenty of areas that smallmouth spawn that never see a lure. There are also lot late spawners, and usually bigger males out in deeper spawning areas. Areas where you usually can't see the bottom. 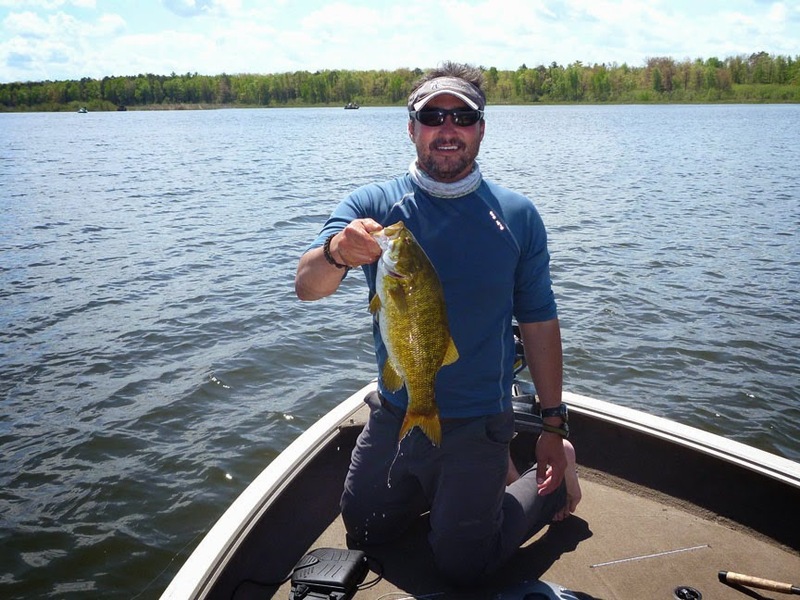 Rock bass are coming in heavy which signals the tough fight for protecting males and means rapidly warming waters. The juvenile bass are starting school up and chasing minnows. The bigger fish will join them soon. If the water stays relatively cool, the bigger fish will stay shallow picking off young of year fry and other baitfish. This makes for great top water action! Everyone get out while the action is hot. It won't be long until the deeper weed lines and structure, with warmer water draws the big fish out to the main lake. The windows resolutions are available on my site which is https://www.windowsresolution.com for free to get the resolutions for free to get the all the resolutions for free online for the windows. CONTACT US TO BOOK A TRIP! Blogs by Ouitdee Carson. Picture Window theme. Theme images by Lokibaho. Powered by Blogger.